Discover how to improve your EMS agency with secure cloud-based software, efficient EMS workflow best practices, and more. EMS agencies continue to struggle to make ends meet as the cost of EMS patient care continues to rise, ambulance reimbursement rates continue to disappoint, and Federal and state regulations keep multiplying. What can you do to improve the financial situation for your EMS agency? 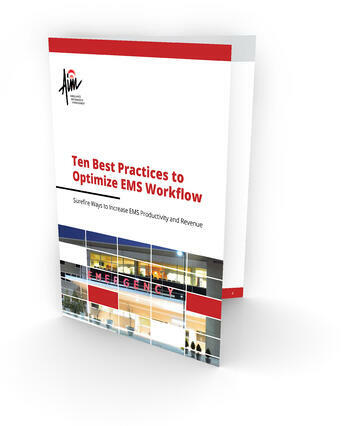 This eBook includes 10 EMS best practices that will help you revitalize your organization, increase efficiency, and improve revenue. Stay on top of industry trends and changes by implementing concrete actions that will streamline dispatch, simplify ePCR, and maximize reimbursement. Our deep understanding of the EMS industry coupled with decades of experience means we are uniquely positioned to deliver solutions that your organization can really use. 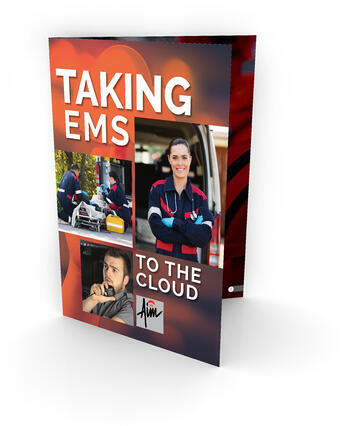 This eBook explores the ways using the Cloud for your EMS systems can benefit your organization and give you an idea of what to expect from the process. From increased productivity and efficiency to the ease of working on the go, Cloud computing has plenty to offer EMS organizations of any size.